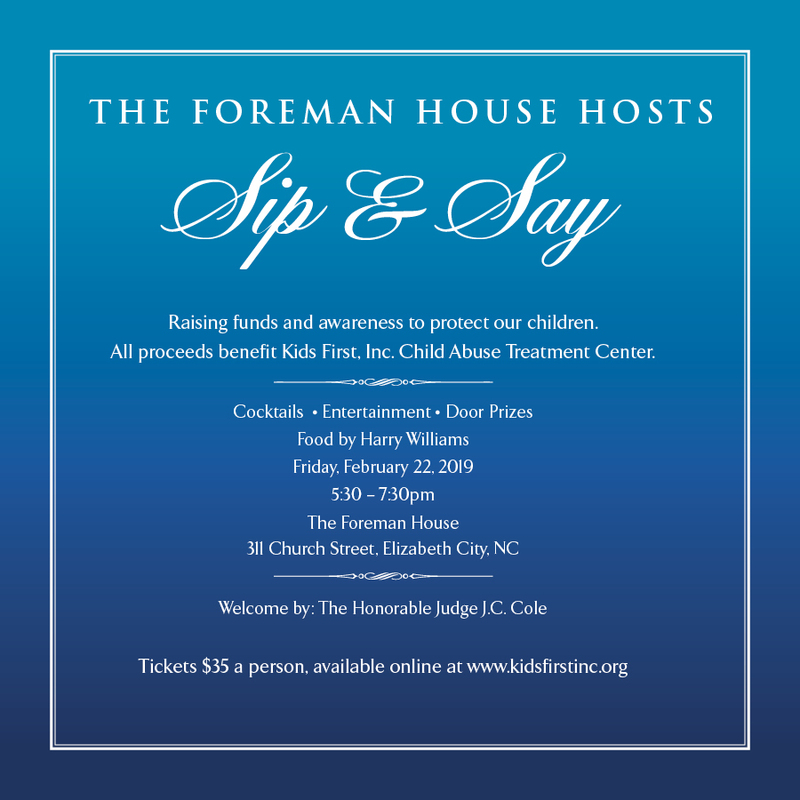 The Foreman House Hosts Sip & Say | Kids First Inc.
We will be raising funds and awareness to protect our children. All proceeds benefit Kids First, Inc. Child Abuse Treatment Center. We will have cocktails, entertainment, and door prizes. Food will by catered by Harry Williams. The Welcome by: Judge J.C. Cole. Tickets are available online, click the link below.